Lucy Harvey has worked as a freelance stylist for 10 years. She is also an associate lecture on the Design and Visual Culture module at Bucks New University. 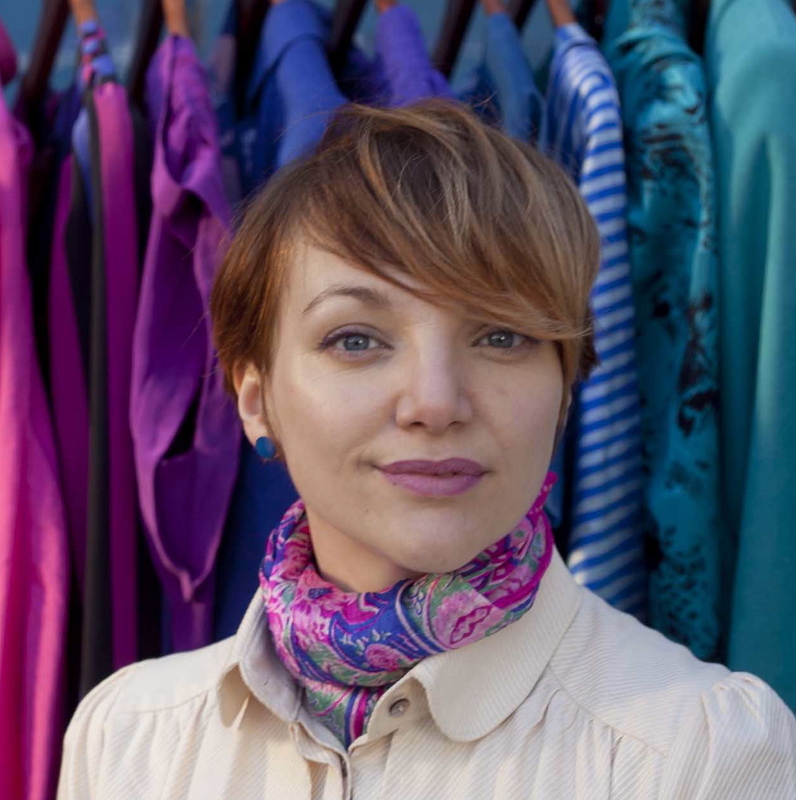 In early 2011 she started www.ethicalstylist.com, she now focuses on the promotion of ethical and sustainable fashion. These diverse but complimentary roles give Lucy the opportunity to consider and encourage ethical practices at the first stages of design and at the point of consumption. LH: The future I choose will have an education system that develops the minds of children instead of molding them. Public transport will be so affordable and so convenient that you’d be a fool to have a car all to yourself! All of the old railway systems in the U.K will be reopened and trains will no longer be prohibitively expensive. In the future I choose we will look back upon our current consumer culture as an unfortunate phase in our development. Oh yes and women around the world will be emancipated; the knock on effect of this will solve so many of global issues that we will wonder why we hadn’t done it sooner! LH: The art and design students I teach ask the questions that really make me think about the way the world is. We keep each other on our toes, I make sure they know that the future is in their hands. One of them showed me this wonderful film: “The Story of Stuff”. This is how I learnt that shortly after we created mass production we invented planned obsolescence, the devious duality of this process makes me feel very heavy hearted. LH: Education makes you act. Once you have had your brain switched on to the facts it is very difficult to return to your sedentary state. Be active in your own education and seek out ways of finding the reality beyond the state education you are given and beyond the mass culture you are given. Knowledge is a powerful tool. The trouble with the world is not that people know too little, but that they know so many things that ain’t so.’ Mark Twain (1835-1910) U.S. humorist, writer, and lecturer. ‘The greater our knowledge increases, the greater our ignorance unfolds.’ John F. Kennedy (1917-1963) Thirty-fifth President of the USA. LH: If you really believe in your principles, you have to stick by them. I am committed to changing the harmful practices of the fashion industry. I haven’t brought myself a piece of fashion from the High St for nearly 2 years. Every time I buy my clothes from a charity shop or from and ethical or sustainable brand I feel like I am pledging my allegiance to the causes I believe in. LH: The beautiful Bowie reminds us how shallow and f-f-f-f-fickle the fa-fa-fa-fashion world is!